The package of controversial trade bills, which contains a Medicare sequester expansion, has stalled in the House after the Memorial Day weekend. Faced with numerous deadlines, the Senate acted Friday to pass the so-called Trade Promotion Authority (TPA) portion of the package, though not with enough time for the House to act on the legislation. Both the Senate and the House have a work week this week, where they forego legislative business to return to the districts and hear from constituents over the shortened Memorial Day week. Factions in both parties have objections to the legislation, and more conservative House Republicans have come out against the legislation, making its fate in the House uncertain. Last week, enough Senate Democrats joined with Republicans only after certain concessions were made on policy parts of the package, such as currency manipulation. The portion of the package containing the additional Medicare sequester, the Trade Adjustment Agreement (TAA), has not yet moved out of the Senate but is expected to gain momentum after lawmakers return. In late April, the American Health Care Association along with other provider groups sent a letter to the House and Senate, criticizing the surprise addition of the offset extension and urged its removal from the bill. Sequestration spending cuts mandated by a 2011 budget agreement included a two percent cut in Medicare provider payments, which extended through the ten year period of the budget pact. However, the aging of the 10-year budget window offers an opportunity to extend the sequestration savings. Several Medicare bills have been funded by an extension of the sequester past its original 2021 end date. The current end date is 2024. 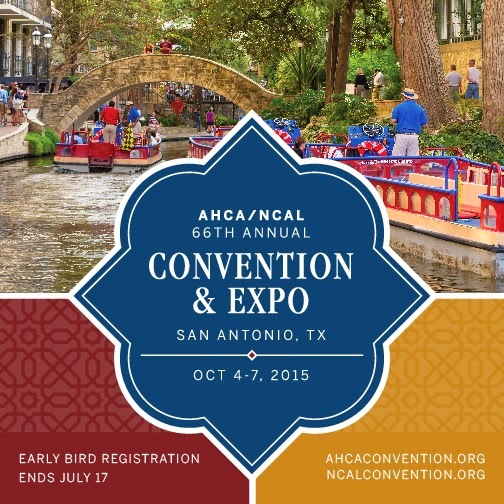 AHCA/NCAL Convention & Expo: Registration Now Open! They say things in Texas are bigger and better. 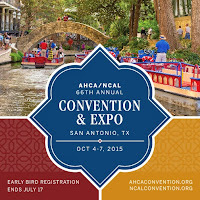 The ACHA/NCAL 66th Annual Convention & Expo is shaping up to be just that, all from historic and beautiful San Antonio. Experience the food, the landmarks, and the fun of this Texas-sized destination, while you network, learn, and enjoy yourself at this must-attend event. Early Bird Registration ends July 17, so make your reservations today! Visit our official Convention & Expo website for event times, speakers and all the important information. The Centers for Medicare & Medicaid Services (CMS) issued a proposed rule addressing managed care regulations; this is the first update to the regulations governing Medicaid managed care organizations (MCOs) since 2002. The impact of this regulation is significant given the size and scope of Medicaid managed care programs nationwide. According to CMS, 39 states have contracts with comprehensive managed care organizations, and 20 states have implemented managed care programs that incorporate long term services and supports. The proposed regulation would implement best practices identified in existing MLTSS programs and create requirements specifically tailored for MLTSS populations. For example, CMS proposes that states establish time and distance standards specifically for MLTSS programs as part of the Agency’s efforts to strengthen network adequacy requirements. The proposed regulation includes provisions that would improve the beneficiary’s experience in enrollment, communications from the state and managed care plans, care coordination, and the availability and accessibility of covered services. The proposed regulation supports states’ efforts to encourage delivery system reform initiatives within managed care programs that strive to improve health care outcomes and beneficiary experience while controlling costs. The proposed regulation sets forth a quality framework focused on transparency, alignment with other systems of care, and consumer and stakeholder engagement. The proposed rule would require a quality strategy for a state’s entire Medicaid program and also establish a Medicaid managed care quality rating system that would include performance information on all health plans and align with the existing rating systems in Medicare Advantage and the Marketplace. The proposed regulation includes provisions that would strengthen the fiscal and programmatic integrity of Medicaid managed care programs and rate setting by clarifying actuarial soundness requirements. By aligning standards, where appropriate, the proposed rule would improve operational efficiencies for states and health plans, which in turn will improve the experience of care for individuals who transition between health care coverage options. The proposed rule would align the CHIP managed care regulations, where appropriate, with the proposed revisions to the Medicaid managed care rules in order to ensure CHIP beneficiaries the same quality and access in managed care programs. AHCA will hold a conference call for all members this Friday, May 29, at 3 PM (EDT). Details regarding this call are forthcoming in a separate e-mail which you will receive by COB tomorrow. During this call, we will provide a preliminary assessment of the proposed rule and considerations for nursing facilities. In addition, over the course of the next week, we will review the proposed rule in its entirety and will provide a detailed summary which will address the potential areas and process for comment. AHCA will continue to monitor any developments in this area and will keep you apprised of any additional announcements. If you have questions, suggestions or concerns, please contact Narda Ipakchi at nipakchi@ahca.org. 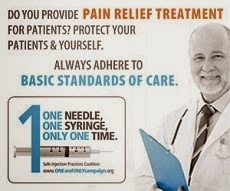 We are proud to announce that AHCA/NCAL has recently become a member of the One & Only Campaign, a public safety campaign to promote safe injection practices in all health care settings. By teaming up with the Safe Injection Practices Coalition, we’re joining professional groups, health care systems, provider groups, private companies and others dedicated to raising awareness of the importance of injection safety. Click here to learn more and download materials. Late last week the U.S. Government Accountability Office (GAO) published a report, mandated by the Protecting Access to Medicare Act of 2014 (PAMA), regarding the Centers for Medicare and Medicaid Services (CMS) process for developing relative value recommendations for procedures used to bill Medicare Part B. The report is called the Medicare Physician Payment Rates: Better Data and Greater Transparency Could Improve Accuracy. CMS sets payment rates for about 7,000 services primarily on the basis of the relative values assigned to each service. About 70 of these service codes are used to describe and bill for Part B therapy services. Relative values largely reflect estimates of the clinician’s work and practice expenses needed to provide one service relative to other services. In the study, the GAO evaluated (1) the American Medical Association/Specialty Society Relative Value Scale Update Committee (RUC) process for recommending relative values for CMS to consider when setting Medicare payment rates; and (2) CMS’s process for establishing relative values, including how it uses RUC recommendations. The GAO reviewed RUC and CMS documents and applicable statutes and internal control standards, analyzed RUC and CMS data for payment years 2011 through 2015, and interviewed RUC staff and CMS officials. 3) CMS should also develop a plan for using funds appropriated for the collection and use of information on these services in the determination of relative values. The U.S. Department of Health and Human Services (HHS), which oversees CMS agreed with two of GAO’s recommendations, but disagreed with using rulemaking to inform the public of RUC-identified services. The GAO clarified that the recommendation is not limited to rulemaking. The website to the report: http://www.gao.gov/products/GAO-15-434. ICD-10 SNF Implementation Coming Soon! Diagnostic coding plays an important role in every health care setting, including long term care centers. Today, in a skilled nursing facility (SNF), providers capture and update a resident’s clinical condition on the Minimum Data Set (MDS) using the International Classification of Diseases, Ninth Revision (ICD-9); but that will soon change. On October 1, 2015, SNFs will be required to use International Classification of Diseases, Tenth Revision (ICD-10). Implementation is challenging for SNF staff because they must learn new ICD-10 coding (which is significantly different from ICD-9 coding) to ensure appropriate billing and reimbursement. This will require SNF leadership (either at the facility or corporate office levels) to train the staff responsible for implementing rules and regulations for proper coding. At different intervals (resident discharge, transfer or expiration), staff are required to reevaluate and update ICD-10 codes (particularly for long-stay residents). All diagnoses that affect the residents care must be coded appropriately. SNFs also should consider that in an era of heightened focus on fraud and abuse, federal regulators may in the future look more closely at ensuring that the ICD-10 coding on the MDS is correct. SNFs can conduct acknowledgement testing with CMS at any time, and providers should take advantage of the opportunity to submit claims with ICD-10 codes to the Medicare Fee-For-Service (FFS) claims systems and receive electronic acknowledgements, confirming that the claims were accepted. Although this can be time consuming, it will facilitate a smoother transition on the October 1, 2015, deadline. The US Department of Health and Human Services, Office of Inspector General (OIG) has released its updated List of Excluded Individuals and Entities (LEIE) database file, which reflects all OIG exclusions and reinstatement actions up to, and including, those taken in April 2015. This new file is meant to replace the updated LEIE database file available for download last month. Individuals and entities that have been reinstated to the federal health care programs are not included in this file. The updated files are posted on OIG’s website at http://www.oig.hhs.gov/exclusions/exclusions_list.asp, and health care providers have an “affirmative duty” to check to ensure that excluded individuals are not working in their facilities or face significant fines. Instructional videos explaining how to use the online database and the downloadable files are available at http://oig.hhs.gov/exclusions/download.asp. Given the penalties and recent government warnings, long term care providers should check the LEIE on a regular basis. The AHCA/ NCAL Expo is a great opportunity for you to explore those new innovative ideas and resources to take home to your organizations. More than 350 industry experts gather in the hall to showcase the latest innovations and ideas, all designed for the long term and post-acute care professional. One of the most popular venues at the convention, the Expo Hall is where you just might discover the money-saving and money-making idea that could transform your organization. 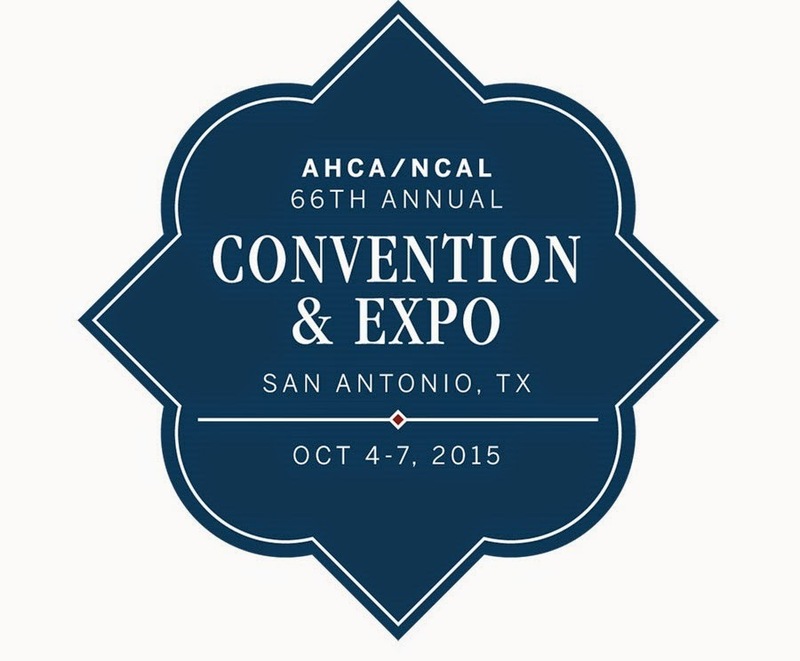 Be sure to register now for the 66th Annual AHCA/NCAL Convention & Expo, held October 4-7, in San Antonio, Texas. Early bird registration ends July 17. For Expo Hall hours, a list of exhibitors, and complete information on the event visit our website. The American Health Care Association and National Center for Assisted Living (AHCA/NCAL) named Scott Tittle as the new Executive Director of NCAL. Tittle joins the Center from the Indiana Health Care Association – a state affiliate of AHCA – where he served as president for both the skilled nursing profession in the state as well as assisted living. Tittle served as President of the Indiana Health Care Association and Indiana Center for Assisted Living since 2010. The former Health Care Policy Director to Indiana Gov. Mitch Daniels, Tittle dealt closely with the issues surrounding assisted living, long-term care services, as well as other policies pertaining to caring for older Americans. An attorney by background, Tittle is a former member of the Indianapolis law firm of Krieg DeVault, where he practiced in the firm’s Health Care, Governmental Affairs, and Business Practices groups. As health policy director in the Indiana governor’s office, Tittle was responsible for executing Gov. Daniels’ health care initiatives through the legislative process as well as the state’s health-related agencies, including the Family and Social Services Administration, the State Department of Health, the Department of Child Services, and the Department of Insurance. Mr. Tittle received his law degree from Indiana University – Bloomington in 2001, and his undergraduate degrees from Vanderbilt University in 1995. He was awarded a Distinguished Hoosier Award by Gov. 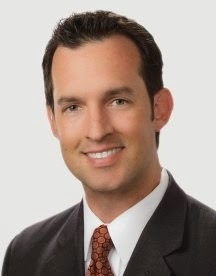 Daniels in 2007, has been listed as an Indiana Super Lawyers Rising Star by The Indiana Lawyer from 2010-2012, and was named a Forty Under 40 honoree by the Indianapolis Business Journal in 2010. Tittle is expected to assume the role this summer. He succeeds David Kyllo, who will become vice president of AHCA/NCAL insurance and member programs. A veteran of the Association for over 21 years, Kyllo will lead outreach to state affiliates on a broad array of services, including a new insurance instrument for member companies. The American Health Care Association (AHCA) and National Center for Assisted Living (NCAL) now offers a variety of comprehensive insurance programs to meet your business needs. Backed by the strength of our membership, AHCA/NCAL Insurance Solutions programs are designed with exclusive member savings and discounts for both the fully-insured or self-insured members. The program offers health insurance options, group and voluntary benefit packages, an aggressive Stop-Loss insurance program as well as cloud based HR platforms that will help members achieve savings and greater efficiencies on HR services within your company, while also tracking and reporting on key Affordable Care Act (ACA) requirements. For more information, please visit the new AHCA/NCAL Insurance Solutions website, email ahcainsurancesolutions@ahca.org ​or call 860-416-5333. AHCA/NCAL’s Newly Revamped ACA Website! AHCA/NCAL is pleased to unveil its newly revamped Affordable Care Act (ACA) website. On this site, AHCA/NCAL members will find helpful Agency resources pertaining to the health reform law, and information on key areas of the law to be aware of. In addition, resourceful webinars AHCA/NCAL has held on the topic can be found on the site, along with important news updates. If you have any questions about this site or the content on it, please don’t hesitate to contact AHCA’s Dianne De La Mare or Dana Halvorson. The Online Registration Deadline for AHCA/NCAL's Congressional Briefing Has Been Extended! If you have not yet had a chance to register for Congressional Briefing and you are still planning to attend, it’s not too late. The online registration deadline has been extended until Friday, May 22nd. Register now. You’ll hear from Rep. Cathy McMorris Rodgers (R-WA), journalist Chris Wallace, and many more. See the complete agenda and register. The conference registration fee is complimentary to AHCA/NCAL Members and AHCA/NCAL Associate Business Members only. All registrations include continental breakfast, networking lunch, and cocktail reception. We highly encourage you to set up your own meetings with your Members of Congress for Tuesday, June 16, 2015. Bring your voice to the Hill and make your advocacy efforts count. The most effective way to communicate with your Members of Congress is to personally meet with them or their staff. If you would like some assistance scheduling a meeting, e-mail us at congressionalbriefing@ahca.org. We can also arrange to have an AHCA lobbyist attend with you if needed. The AHCA/NCAL group rate at the Hyatt Regency Washington on Capitol Hill is available until May 22nd. Please reserve your hotel room as soon as possible so that you can enjoy the amenities and the savings. Please note that you must register for Congressional Briefing before making your hotel reservation. Building on the success demonstrated by AHCA members in improving quality in four priority target areas since the announcement of the Quality Initiative in 2012, AHCA has expanded this effort to further improve the quality of care in America’s skilled nursing care centers over the next three years. The expansion of the Initiative challenges members to apply a systematic approach to meet measurable targets in eight critical areas by March 2018. These areas are aligned with national mandates by the federal government, such as the Five-Star Quality Rating System and the Improving Medicare Post-Acute Care Transformation (IMPACT) Act. The next three years of the Quality Initiative will help members continue to make these target areas their focus and to achieve sustained improvements. This webinar will provide an overview of progress to date, outline the new goal areas for the next three years and review strategies and resources to help members on their journey to continued improvement in performance on the Quality Initiative goals. · Review progress to date on AHCA’s Quality Initiative. · Discuss the new goal areas and the rationale for their selection. · Review systematic quality improvement strategies and AHCA resources to support member success in meeting the identified goals. Recently, the Centers for Medicare and Medicaid Services (CMS) updated their Therapy Services web page regarding continuation of the Part B therapy cap exceptions process through December 31, 2017. When the Medicare Access and CHIP Reauthorization Act was signed into law on April 16, 2015, the therapy caps exceptions process for Physical Therapy (PT), Occupational Therapy (OT), and Speech-Language Pathology (SLP) services was extended through CY 2017. This updated page also contains links to information related to medical review and the Manual Medical Review (MMR) process for Part B therapy claims over the $3700 annual per-beneficiary threshold. Join the National Pressure Ulcer Advisory Panel (NPUAP) for this free webinar on Reducing Pressure Ulcers. In this one hour webinar you will learn about the reasons for the increasing incidence of medical device pressure ulcers and then identify methods to reduce the most common medical device pressure ulcers. Peggy Kalowes, RN PhD CNS FAHA – Director, Nursing Research and Innovation –received her Doctor of Philosophy in Nursing at University of San Diego in 2007. Joyce M. Black, PhD RN is an Associate Professor in the College of Nursing at the University of Nebraska Medical Center in Omaha, Nebraska. She teaches junior and senior level nursing students in medical-surgical and intensive care nursing. The U.S. Senate Special Committee on Aging is holding an observation stays focused hearing this afternoon at 2:15pm ET entitled, “Challenging the Status Quo: Solutions to the Hospital Observation Stay Crisis.” Often, patients remain under ‘‘observation status’’ in the hospital for several days. These days are not counted toward the three-day inpatient hospital requirement for coverage of skilled nursing care services under Medicare because they are considered outpatient. Increasingly, patients have no idea what their status is in a hospital, or the importance of it, which can lead to thousands of dollars in out-of-pocket medical expenses should they need skilled nursing center care following their hospital stay. In addition to placing a financial burden on seniors and their families, this anomaly in Medicare rules can cause unnecessary spend-down, accelerating the time frame in which seniors will have to turn to programs such as Medicaid to pay for their care. More details about the hearing, including the witness list, can be found on the U.S. Senate Special Committee on Aging website. For more information about observation stays and the three-day stay requirement, visit the AHCA/NCAL website. On May 14, Senators Ben Cardin (D-MD) and Michael Enzi (R-WY) introduced the Notice of Observation Treatment and Implication for Care Eligibility (NOTICE) Act (S.1349), which will require hospitals to notify Medicare beneficiaries of their outpatient status within 36 hours after the time of their classification or, if sooner, upon discharge. Outpatient status affects a patient’s ability to receive Medicare coverage for post-acute care in a skilled nursing center. Earlier this year, the House unanimously passed the NOTICE Act (H.R.876), which was sponsored by Congressmen Lloyd Doggett (D-TX-35) and Todd Young (R-IN-9). AHCA/NCAL believes the NOTICE Act is an important first step in removing roadblocks that limit access to post-acute care. The AHCA/NCAL press statement applauding the Senate introduction of the NOTICE Act can be found here. In April, the Internal Revenue Service (IRS) reminded taxpayers that the Affordable Care Act (ACA) contains tax provisions that affect 2014 income tax returns. The individual shared responsibility provision of the ACA requires all taxpayers to: 1) have qualifying health insurance coverage for each month of the year; 2) have an exemption from the requirement to have coverage; and 3) Make an individual shared responsibility payment when filing federal income tax return. Taxpayers enrolled in coverage through the Marketplace may be allowed the premium tax credit and must file new Form 8962 with their tax return to claim the credit and to reconcile any advance payments made on their behalf in 2014. Assisted Living: Take the (Next Step of the) Initiative! Staff Stability: Keep nursing and direct care staff (RNs, LVN/LPNs, aides) turnover below 40% through March 2018. Customer Satisfaction: At least 90% of customers (residents and/or family members) are satisfied with their experience through March 2018. Hospital Readmissions: Safely reduce hospital readmissions within 30 days of hospital discharges by 15% by March 2018. Antipsychotics: Safely reduce the off-label use of antipsychotic medications by 15% by March 2018. Assisted living communities already excelling with low hospital readmission and antipsychotic usage rates are encouraged to maintain their rates for both areas at or below 5 percent. Learn how to get started on the next phase of the Quality Initiative for Assisted Living. You can also join us for a webinar on Tuesday, May 19 to learn more. NCAL offers reporting mechanisms for providers to ensure their progress on these goals. Member communities can track their staff turnover rates through the association’s online tool LTC Trend Tracker. Most assisted living communities use an external vendor to conduct their customer satisfaction surveys. However, AHCA/NCAL is putting forth a set of core satisfaction questions, “CoreQ” for endorsement by the National Quality Forum to set a profession-wide standard. Communities are encouraged to work with their satisfaction vendor to incorporate CoreQ into their surveys, in order to soon compare themselves to their peers. NCAL also offers specific resources for each goal to aid providers in their quest to address the focus areas. To access those resources or to learn more, please visit QualityInitiative.ncal.org. Senate Democrats yesterday pushed back on a trade agreement which includes a Medicare sequester extension as an offset. The trade package has been pushed by President Obama as well as Republican leadership in the Senate, but many Senate Democrats could not come to an agreement on the terms of the package. Minority Leader Harry Reid previously demanded currency manipulation language in the package of four bills. Senate Democrats joined behind Reid in an effort to stall debate on the bill despite efforts from the Obama administration to whip votes. Senate Majority Leader Mitch McConnell indicated that he will try to gain consensus for debate as soon as later this week. The trade promotion and assistance bills include a tax credit for workers who may lose their jobs and health care under the new trade agreement. The tax credit is being paid for by increasing the length of the current Medicare sequester, as well as expanding its cut by a fraction of a percent. None of the bills in the trade package have been formally approved and passage in both chambers is not assured. The online registration deadline is May 19 so don't delay. Register now and join us for an exceptional experience with your peers. You'll hear all the latest news from the Hill as well as meet with your Members of Congress. 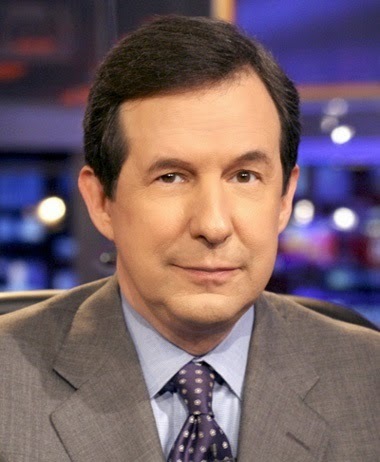 Rep. Cathy McMorris Rodgers (R-WA) will be speaking and journalist Chris Wallace will give the Keynote. See the complete agenda and register. Set up your meetings with your Members of Congress now. If you would like some assistance scheduling a meeting, e-mail us at congressionalbriefing@ahca.org. We can also arrange to have an AHCA lobbyist attend with you if needed. The Hyatt Regency Washington on Capitol Hill offers a convenient and beautiful setting for Congressional Briefing. Please reserve your hotel room as soon as possible so that you can enjoy the amenities and the savings. Please note that you must register for Congressional Briefing before making your hotel reservation. Reservations must be made by May 19, 2015 to take advantage of the AHCA/NCAL group rate. On May 7, the American Health Care Association (AHCA) announced the expansion of the Quality Initiative to further improve quality care in skilled nursing care centers. For the next three years, the Initiative will challenge member organizations to apply the nationally recognized Baldrige Performance Excellence Framework to achieve more ambitious targets in eight areas with a special focus on three priorities—organizational success; short-stay/post-acute care; and long-term/dementia care. These areas are aligned with the Centers for Medicare & Medicaid Services (CMS)’ Quality Assurance/Performance Improvement (QAPI) program and federal mandates, such as the Five-Star and the Improving Medicare Post-Acute Care Transformation (IMPACT) Act. · Safely reducing hospitalizations among long-stay residents by 15 percent or achieve and maintain a low rate of 10 percent or less by March 2018. 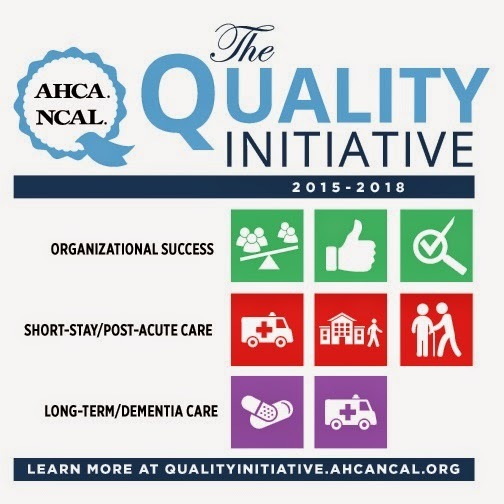 Since the launch of the Quality Initiative in 2012, AHCA members have achieved reductions in the use of antipsychotics and in hospital readmissions. Specifically, member organizations safely reduced the off-label use of antipsychotic medications by 21.2 percent compared to the national average of 19.4 percent in the fourth quarter of 2014. As a result, 33,100 individuals are no longer receiving these medications. For hospital readmissions, AHCA members successfully prevented 40,424 individuals from returning to the hospital — a 14.2 percent reduction since 2011. AHCA will use CMS data and measures to track progress of the goals. Members can view their progress using AHCA’s LTC Trend Tracker and are encouraged to use this resource. Not sure if your organization uses LTC Trend Tracker? Please email help@ltctrendtracker.com and request the name of your account administrator. Visit qualityinitiative.ahcancal.org for more information about the AHCA Quality Initiative. The new Turnover and Retention Upload is now available in LTC Trend Tracker! Members of the American Health Care Association (AHCA) and National Center for Assisted Living (NCAL) can access this new resource, which replaces the annual staffing survey. This Upload includes data for both assisted living and skilled nursing. In addition to being shorter than the previous annual survey, AHCA/NCAL members will now be able to benchmark themselves against their peers and have instant feedback on turnover and retention rates. 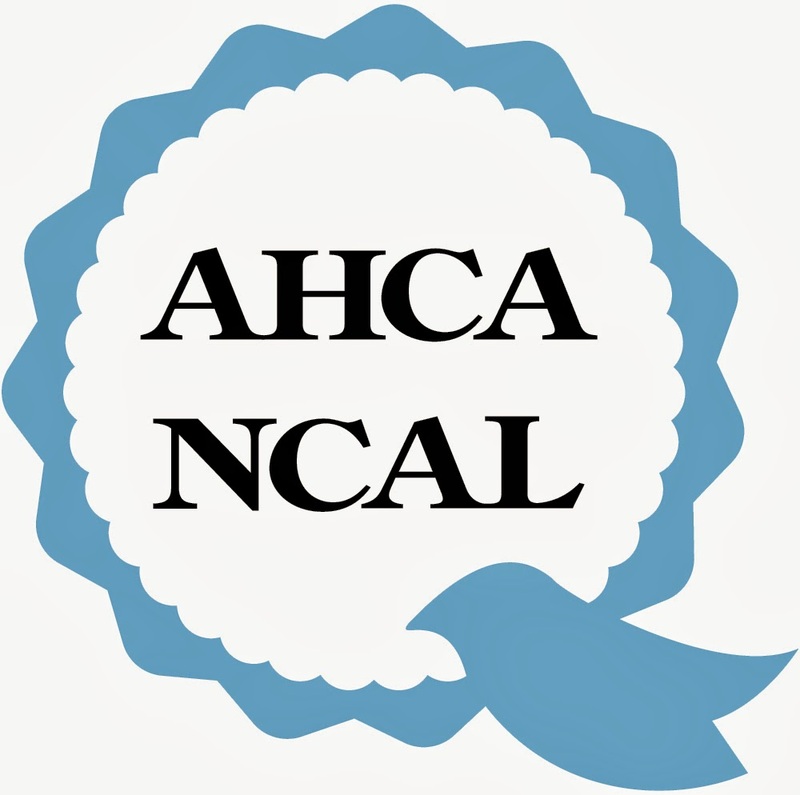 For more information, AHCA/NCAL has developed multiple resources, including How to Create a Turnover and Retention Data File, How to Upload Turnover and Retention Data and Frequently Asked Questions. To register to use LTC Trend Tracker, go to www.ltctrendtracker.com and select registration. And don’t forget to log on to www.ltctrendtracker.com for other important information. 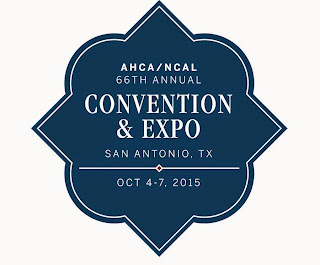 The third annual day for NFP providers will be held during AHCA/NCAL's 66th Annual Convention & Expo in San Antonio, Texas on Tuesday, October 6. This constituency education program for NFP providers is packed with motivational and educational speakers, including CMS and HUD. Lee Ellis, President and founder of Leadership Freedom® LLC, is our keynote speaker and is a popular media personality and high-profile human performance expert. Lee focuses on organizational integrity, operational effectiveness and personal accountability for enterprise, government and NFP leaders. A prolific writer, blogger and thought leader, Lee's latest award-winning book, Leading with Honor: Leadership Lessons from the Hanoi Hilton, shares his POW experience and the 14 leadership principles that helped him and his compatriots resist, survive, and return with honor. Attendees will also have the opportunity to attend the NFP reception, which will cap the day off. For a complete list of education sessions included in this program go to our Education Session Full Schedule. If you have any questions about this exciting event, please contact AHCA's Senior Director for NFP & Constituent Services, Dana Halvorson, at dhalvorson@ahca.org. To learn more about this webinar find more information on the website. The Centers for Medicare and Medicaid Services (CMS) recently updated the MLN Matters® Number: SE1426 article titled Scenarios and Coding Instructions for Submitting Requests to Reopen Claims that are Beyond the Claim Filing Time frames – Companion Information to MM8581: “Automation of the Request for Reopening Claims Process.” This article is intended to provide additional information, coding instructions and scenarios for requesting a reopening of a claim that is beyond the filing time frame. It is a companion article to MLN Matters® Article MM8581. The effective date for the provisions described is for claims submitted on or after January 1, 2016. SNF billers should review this information. To learn more about the ACA and for helpful resources, please visit AHCA’s ACA website. On May 7, the Treasury Inspector General for Tax Administration (TIGTA) issued a report on the IRS readiness to ensure compliance with minimum essential coverage and shared responsibility payment requirements under the Affordable Care Act (ACA). According to the TIGTA’s May 7 press release, “beginning in January 2014, the ACA requires each individual to have basic health insurance coverage known as Minimum Essential Coverage (MEC) or pay an additional tax which is referred to as a Shared Responsibility Payment (SRP). The ACA allows for exemptions from the MEC requirement. Exemptions can be obtained from a Health Care Exchange or from the IRS. The objective of this TIGTA review was to evaluate the status of the IRS’s preparations for determining whether taxpayers maintained MEC or met exemption requirements, and its preparations for assessing the SRP during the 2015 Filing Season. TIGTA found that the Treasury Department has delayed employer and insurer reporting of health insurance information until March 2016. Therefore, the IRS has not developed processes and procedures to verify compliance with MEC requirements for the 2015 Filing Season. 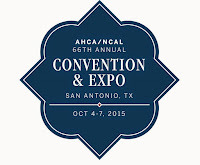 If you attend only one big meeting this year, make it the AHCA/NCAL Convention & Expo, October 4-7, in San Antonio. It can't be beat for networking, quality programming, and an all-git out good time. You should accept no substitutes because, as they say in Texas, you can put your boots in the oven, but that don't make 'em biscuits. Find out more details about each session, browse by date or track, and learn about the fantastic speakers at AHCAConvention.com. It's the 66th time we'll all meet together - this ain't our first rodeo - and you can rest assured that you'll get exactly what you came for and more. You can hang your hat on it! So if y'all are fixin' to register for this here convention, you ought not wait. Do it today. The early bird get the discount through July 17. Earlier this week, Time.com published a piece on the observation stays issue entitled, How to Make Sure Medicare Really Covers Your Hospital Stay, written by Philip Moeller. At the start of the piece, Moeller notes that, “Many Medicare patients are surprised to learn they weren’t officially admitted to the hospital—and they face big bills. Here's how to avoid the problem.” The story goes on to include three guidelines for “reducing the risks of observational status.” The piece also includes mention of the AARP report released on April 14, 2015, on the observation stays issue. Nearly 2 out of 3 observation patients who needed skilled nursing center care after hospital discharge did not meet Medicare’s 3-day inpatient requirement for coverage, according to the report. AHCA/NCAL and AARP are part of the observation stays Coalition, which supports the bipartisan Improving Access to Medicare Coverage Act (S. 843/H.R. 1571) that would count a patient’s time in observation toward the 3-day hospital inpatient stay requirement for Medicare coverage of skilled nursing center care. More details on the observation stays and 3-day stay issue can be found on the AHCA/NCAL observation stays website. This call will be Conference Call Only. Persons participating by phone do not need to RSVP. TTY Communications Relay Services are available for the Hearing Impaired. For TTY services dial 7-1-1 or 1-800-855-2880. A Relay Communications Assistant will help. Encore is an audio recording of this call that can be accessed by dialing 1-855-859-2056 and entering the Conference ID beginning the following Monday. The recording expires after 3 business days. 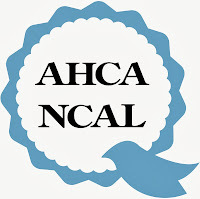 Members of the American Health Care Association (AHCA) and National Center for Assisted Living (NCAL) can now easily upload turnover and retention data in LTC Trend Tracker. The online registration deadline is just two weeks away so if you haven't made your plans yet, now is the time. Don't miss out on any of the exciting events that will take place at Congressional Briefing. Rep. Cathy McMorris Rodgers (R-WA) will be there, as well as Keynote Speaker Chris Wallace. This year's Joe Warner Patient Advocacy Award winners are Robin Hillier, Barry Lazarus, and Bob Van Dyk. We will present the awards on the afternoon of Monday, June 15th, followed by a reception. Please join us. See the complete agenda and register. The registration deadline is May 19, 2015. Scheduled your meetings with your Members of Congress yet? Congressional Briefing is a great opportunity to talk with your Members of Congress in person. If you would like some assistance setting up a meeting, e-mail us at congressionalbriefing@ahca.org. We can also arrange to have an AHCA lobbyist attend with you if needed. We highly suggest that you reserve your hotel room as soon as possible to take advantage of the AHCA/NCAL group rate. Please note that you must register for Congressional Briefing before making your hotel reservation. Reservations must be made by May 19, 2015. Reservation requests made after this hotel deadline will be based on availability at the prevailing rate determined by the hotel. 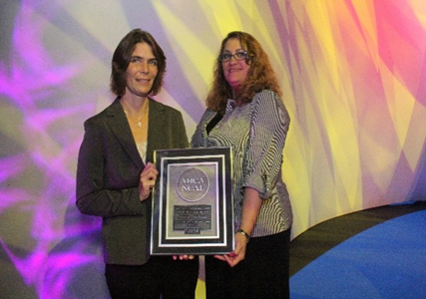 The 2015 AHCA/NCAL Awards Program is currently accepting nominations for this year’s program. The ID/DD Hero of the Year honors individuals (staff included) who have shown commitment, dedication, and compassion in serving persons with intellectual and developmental disabilities and their families. The NFP Program of the Year honors a community that has implemented either innovative approaches to resident satisfaction or a center’s activities that enhance the quality of life for individuals living in the community-at-large. AHCA/NCAL members may submit nominees for these two categories; nomination packets are here. Honorees will be guests of and recognized at the 66th Annual Convention in October in San Antonio, Texas. The deadline to submit nominations is May 21, 2015. To learn more about the program please contact Dana Halvorson or Katherine Merullo. Rep. Cathy McMorris Rodgers (R-Wash.), will be addressing AHCA/NCAL members at this year’s Congressional Briefing. McMorris Rodgers is a rising star in the House Republican caucus, serving as the Party Conference Chair since 2012, making her the number four Republican and highest ranking woman in the chamber. The Congresswoman also has a coveted spot on the powerful Energy and Commerce Committee, where she serves on the Health subcommittee. McMorris Rodgers is seen as one of the key communicators amongst Republicans, giving the party’s 2014 response to President Obama’s State of the Union address in January. The Congresswoman spent a decade in the Washington State House from 1994-2004, winning office at the age of 24. She served as minority leader from 2002-2003 before running for federal office. McMorris Rodgers hails from the Eastern part of Washington and is a lifelong resident of the Pacific Northwest. AHCA/NCAL is happy to announce that Congressional Briefing registration is officially open. Come join hundreds of long term and post-acute care professionals June 15-16. Registration is completely free and open to all AHCA/NCAL members and Associate Business Members. The 2015 National Emerging Leadership Summit is being held on July 21st - 23rd this summer at George Washington University in Washington, DC. This experience of 'Professionals Leading Passionate Innovation' is an opportunity to engage with fellow emerging leaders in an unrivaled opportunity to strategize, advocate, connect and innovate the future of the health care and aging services administration profession. The summit is targeted toward Healthcare Administrators in Health and Aging Services who have typically been in the field for under ten years. The Summit aims to increase, improve and support the profession to attract talent and future leaders by giving a voice to the next generation of leaders. Individuals that have attended the Summit hold positions in skilled nursing facilities, assisted living facilities, continuing care retirement communities, rehabilitation hospitals, home and community based services and affiliated organizations across the country. The US Department of Health and Human Services, Office of Medicare Hearings and Appeals (OMHA) has announced that they have awarded a new development contract for the Electronic Case Adjudication and Processing Environment (ECAPE) to CACI Inc. Federal. 6) enhanced management information and business intelligence. The first release of ECAPE is expected in early 2016. This will include case intake and the first phase of the Appellant Public Portal. The next phase is expected to be released in early 2017. It will cover the remainder of the adjudication process, from assignment to case closure. The final release will occur in Spring 2017, and will cover enhancements to the Appellant Public Portal, as well as additional functionality not included in the first two releases. To learn more about ECAPE go to http://www.hhs.gov/open/plan/initiatives.html and type ECAPE in the search box. Chairman Hatch also noted that “large portions of the initial payment determinations are reversed on appeal” and “such a high rate of reversals raise question about how the initial decisions are being made and whether providers and beneficiaries are facing undue burdens on the front end.” Ranking Member Ron Wyden (D-OR), and other witnesses also participated in the hearing, and discussed a number of measures that if considered would reduce the ineffectiveness of the current Medicare appeals process, while at the same time protecting program integrity. The witnesses, who were largely federal government employees, Medicare Administrative Contractor (MAC), CMS Qualified Independent Contractor (QIC) and Nancy Griswold, Chief Administrative Law Judge (ALJ), discussed a potential new filing fee for providers and the elimination of contingency fee payments for Medicare Recovery Auditors (RACs). To see all the proceedings of the hearing go to http://www.finance.senate.gov/hearings/hearing/?id=d29af43d-5056-a032-526a-1de427f91aeb.